Anthony Hayes is an Amazon top 100 selling author, podcaster, blogger and member of the International Association for Internet Broadcasters. Is mental health important to you? Mental Health, Mindset and Misunderstanding. Let's break the stigma of mental illness and learn from it. Topics: Mindset, Mental Health, Habits, Inspiration, and Self Development. 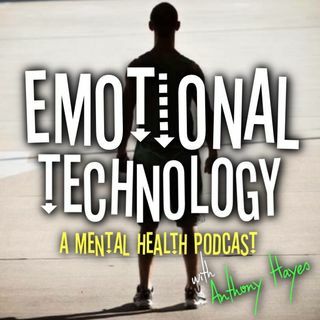 Join host Anthony Hayes, author of The Science of Being Surviving; Depression, on a ... See More journey of Self Discovery. Hayes draws from personal experiences in a decade long battle with Clinical Depression, ADHD and insomnia. When teamed up with guests, you will hear amazing stories to help you better understand your own Emotional Technology. "Control the Controllable, as for the rest, Keep on Flowing, Just be..."